Historis Hübner,  — 2 spp. Baeotus Hemming, 1939 — 4 spp. Pycina Doubleday,  — 1 sp. Smyrna Hübner,  — 2 spp. Tigridia Hübner,  — 1 sp. Colobura Billberg, 1820 — 2 spp. Antanartia Rothschild & Jordan, 1903 African Red Admirals — 5 spp. Araschnia Hübner,  — 8 spp. 1 sp. Symbrenthia Hübner,  Jesters — 13 spp. Mynes Boisduval, 1832 — 11 spp. Hypanartia Hübner,  — 14 spp. Vanessa Fabricius, 1807 — 20 spp. 2 spp. Nymphalis Kluk, 1780 Anglewings — 29 spp. 7 spp. Nylin, Nyblom, Ronquist, Janz, Belicek & Källersjö, 2001. 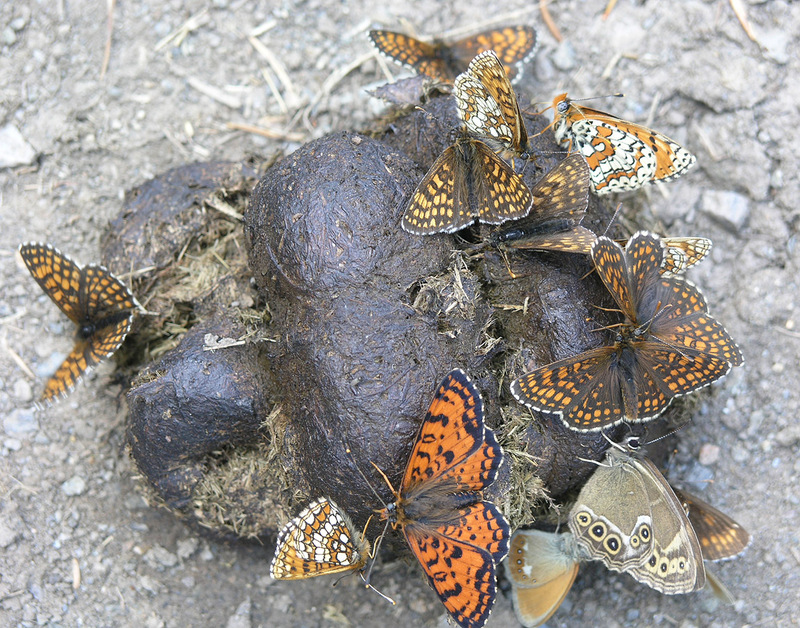 Phylogeny of Polygonia, Nymphalis and related butterfiles (Lepidoptera: Nymphalidae): a total evidence analysis. Zool. J. Linn. Soc. 132: 441-468. Metamorpha Hübner,  — 1 sp. Anartia Hübner,  — 5 spp. Siproeta Hübner,  — 3 spp. Napeocles Bates, 1864 — 1 sp. Junonia Hübner,  Buckeyes Pansies Commodores — 33 spp. Precis Hübner,  Pansies Commodores — 20 spp. Salamis Boisduval, 1833 Mother-of-Pearls — 9 spp. Yoma Doherty, 1886 — 2 spp. Hypolimnas Hübner,  Eggflies Diadems — 31 spp. 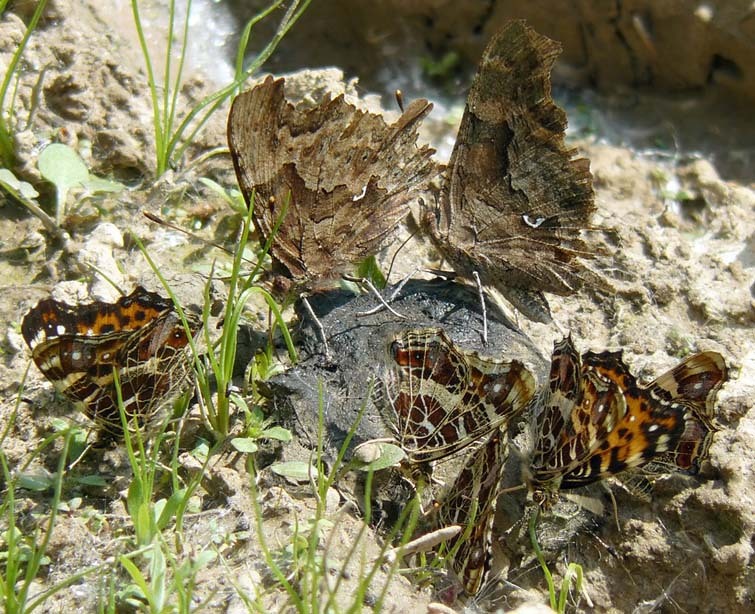 Kallima Doubleday,  Oakleaf Butterflies — 10 spp. Doleschallia C. & R. Felder, 1860 — 12 spp. Catacroptera Karsch, 1894 Pirates — 1 sp. Mallika Collins & Larsen, 1991 Oakleafs — 1 sp. Rhinopalpa C. & R. Felder, 1860 — 1 sp. Kallimoides Shirôzu & Nakanishi, 1984 — 1 sp. Vanessula Dewitz, 1887 — 1 sp. Euphydryas Scudder, 1872 — 17 spp. 3 spp. Melitaea Fabricius, 1807 — 93 spp. 3 spp. Antillea Higgins,  — 2 spp. Atlantea Higgins,  — 4 spp. Chlosyne Butler, 1870 — 29 spp. Dymasia Higgins, 1960 — 1 sp. Higginsius Hemming, 1964 — 2 spp. Microtia Bates, 1864 — 1 sp. Poladryas Bauer in Ehrlich & Ehrlich, 1975 — 2 spp. Texola Higgins,  — 2 spp. Gnathotriche C. & R. Felder, 1862 — 2 spp. Anthanassa Scudder, 1875 — 17 spp. Castilia Higgins, 1981 — 13 spp. Dagon Higgins, 1981 — 3 spp. Eresia Boisduval,  — 20 spp. Janatella Higgins, 1981 — 3 spp. Mazia Higgins, 1981 — 1 sp. Ortilia Higgins, 1981 — 9 spp. 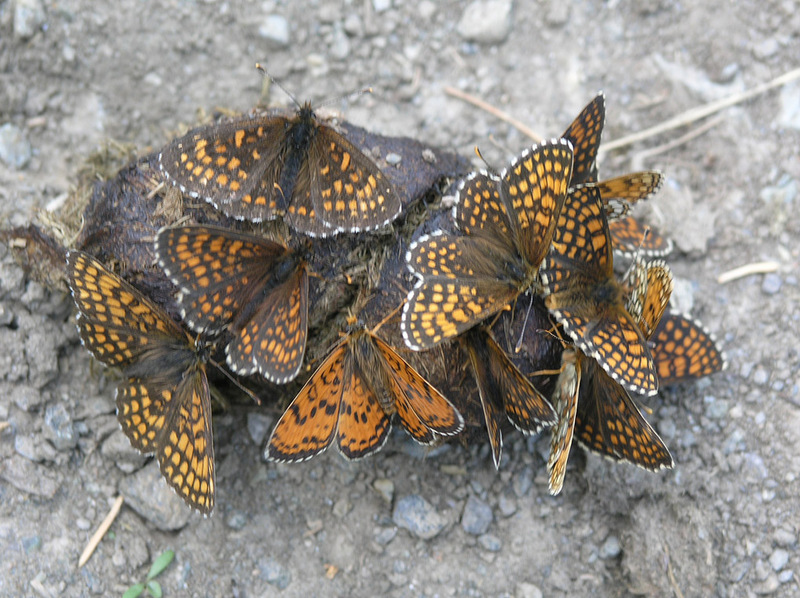 Phyciodes Hübner,  — 11 spp. Phystis Higgins, 1981 — 1 sp. Tegosa Higgins, 1981 — 15 spp. Telenassa Higgins, 1981 — 8 spp. Tisona Higgins, 1981 — 1 sp. Prodryas † Scudder, 1878 — 1 sp. Lithodryas Cockerell, 1909 — 1 sp.